There is nothing more beautiful than inviting your friends over for a good dinner party so you can enjoy their company and good food. Be it inviting your boss and his family because you need a promotion or you want to make friends with your uptight colleague. However throwing a good dinner party is a very messed up idea if you don't go through it in a proper way. Need help getting started on hosting your a dinner party? Read on for my tips and share some of your own! Let's party. 1. Always go with your regional dishes. That is if you are a Punjabi, go for punjabi food, if you are Marathi go for marathi food. Remember, your friends know you for what you are so, it will be easier for you to go with the tried and tasted food. Your friends will also enjoy a different cuisine from what they usually have, assuming your friends are not from your own region(a boss never is). 2. Use trusted, make-ahead recipes you've already made at least once. You can get best ingredients from Kitchens of India here. 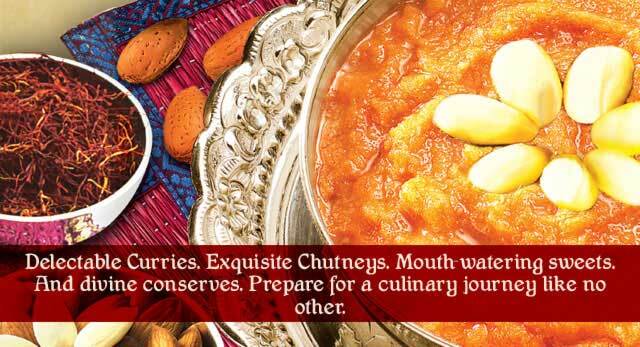 They have a mix of every make ahead recipes of almost all regions of India. Visit their site to get a informed view of various recipes available. 3. Never try out a new dish on the day of the party. Try out a exotic recipe only when you are alone in the private. A hashed recipe at a dinner party will doom your party and tarnish your reputation. 4. I am advising you to go with make-ahead dishes because they reheat well and the more important thing is you wont be slaving away in the kitchen when your dinner party is in a full swing. This way you wont miss socializing and sharing the latest gossip in the town and your guests wont feel insulted. 5. Fix the ambience in advance. The ambience of the party is a very important thing. If you are throwing an outdoor party, remember to order the chairs and fans. If the party is indoors, start the airconditioner two hours in advance. If you are having a cocktail party keep the drinks ready with beer in the refrigerator. Don't go for a themed party till you have become accustomed to throwing parties. 6. Have the crockery, cutleries, plates and bowls in place. If you want the flashy kind of dinner plates like the crystal or bone china ones, no need to purchase them. They are available on rent, just google it or ask one of your friends who throws parties for the address. This is much cheaper then buying a entire set. 7. Same with housekeeping staff. Do engage the housekeeping staff for this particular day on rental. This will help you in clearing the after party mess(its always a pain). Another advantage of renting housekeeping staff is they are trained in party manners and liveried which always creates a good impression with your guests. 8. Keep the dessert ready. Remember a good party is remembered by the last item of the day. The people who visit you wont remember the fancy Scotch you poured them, the fancy dish you service them but a good dessert will always be remembered. After all the sweets and ice-cream sober up even the most die hard alcoholics. 9. Always keep the telephone number of the nearest hotel serving good food ready. This helps in case of calamities like food vessel falling, food going bad or even when you get more guest then expected. 10. There is nothing to write here. Just have a good party. Remember the best way to a man's heart is through is stomach so a good party to your boss will help get you that promotion you so desperately seek.